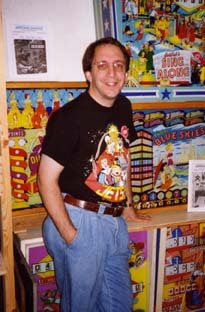 We recently interviewed PinGame Journal editor Jim Schelberg for Pinball Heroes. 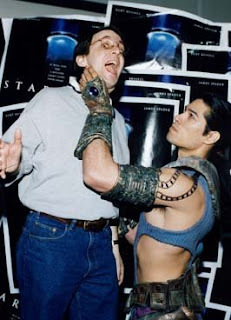 As with much of the blog writing, the interview was done very much on-the-fly. Jim was interviewed on the 'phone as he headed to Chicago to meet some pinball folk and then was off to the Midwest Gaming Classic, and I was just bumming around like normal. We had hoped to add some pictures to the interview (other than stock pics) but add the schedules of 2 busy guys and these things can take some time. Finally we got our acts together and we've got a few pics of Jim on his pinball travels, so thought I'd share them here rather than update the original interview. Many thanks to Jim for the interview and now for the photos. 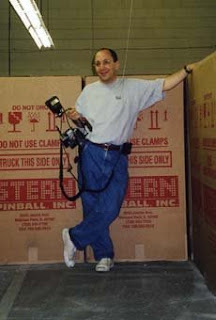 Jim has always been a great help with finding pictures of other Pinball Heroes guests, thanks Jim.